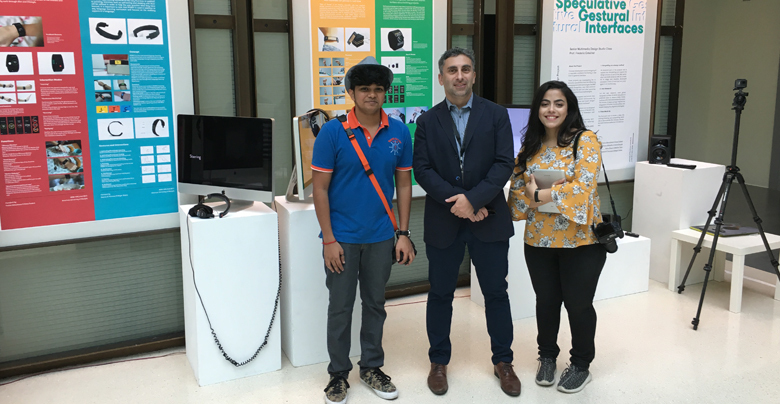 Work done by 20 multimedia design majors from the College of Architecture, Art and Design (CAAD) at American University of Sharjah (AUS) was exhibited at ECHO Dubai, the region’s first multi-sensory festival of art, design and technology held recently. CAAD faculty members Zlatan Filipovic, Associate Professor of Art and Design, and Frederic Otto Gmeiner, Assistant Professor of Art and Design, were invited by the festival to curate the student work for the exhibition. The work was then reviewed and selected by an internal judging commission at the festival. The exhibition comprised work done by students in the Motion Graphics and Video course as well in the Multimedia Design Senior Studio. Artwork done by two CAAD students and submitted via the Festival Open Call was also displayed as part of the ECHO Open Call exhibition.